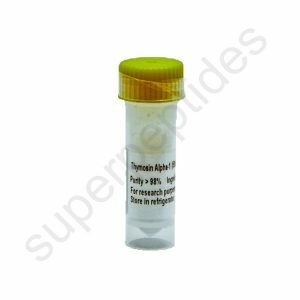 Studies have shown that the mode of action of Epitalon involves suppression of oncogene expression and modification of telomerase activity. 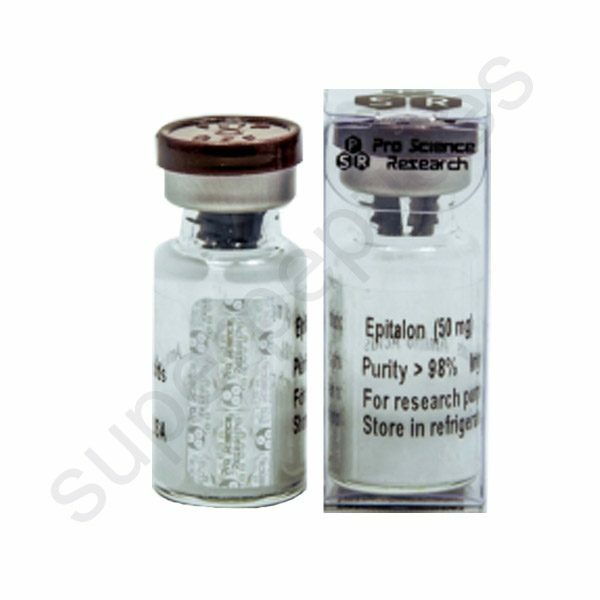 Science has shown that Epitalon is the most powerful factor ever found to stop the aging of the human body and to rejuvenate it. 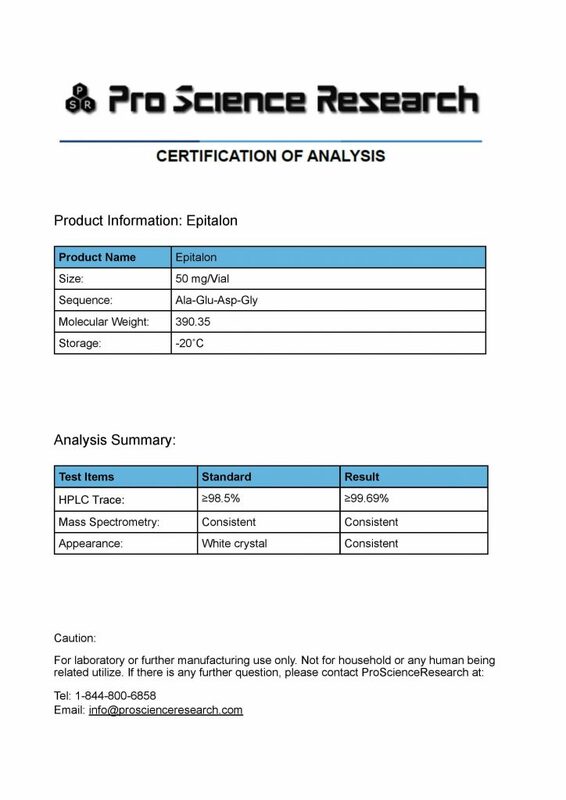 This is the only product that is scientifically proven in clinical studies in humans and in laboratory studies on cells. 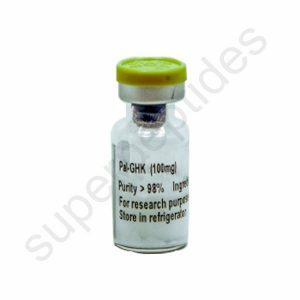 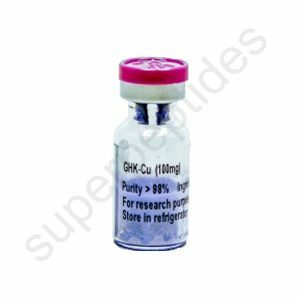 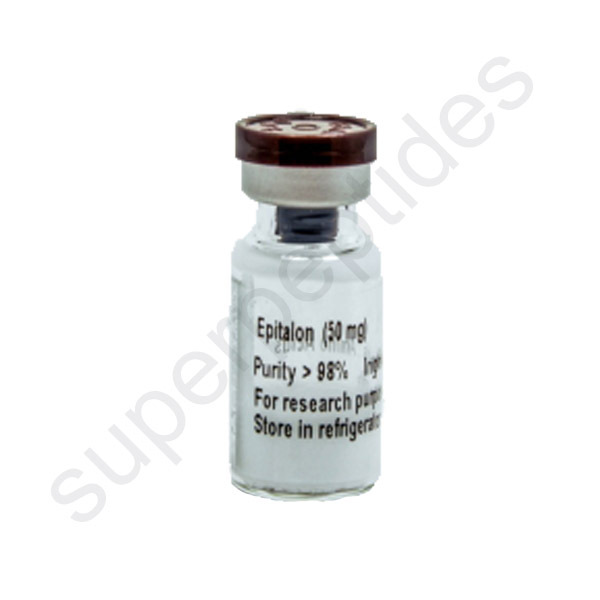 Epitalon, also known as Epitalon Tetra Peptide is a peptide used to regulate the cell cycle through up-regulation of telomerase activity (repairing of chromosomes). 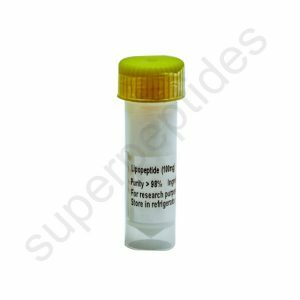 The sequence of amino acids in the peptide is Alanine-Glutamate-Asparagine-Glycine. 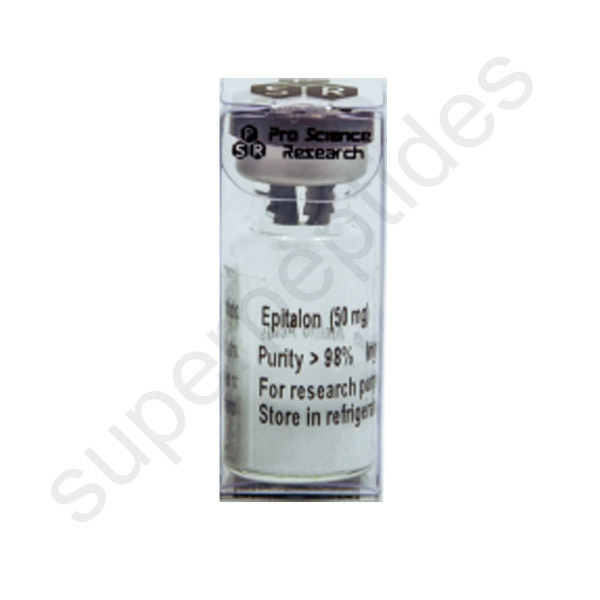 Animal studies have been done on the effects of Epitalon on suppression of spontaneous mammary tumors and spontaneous carcinogenesis.